My fiancée and I were recently guests at a party celebrating the 80th birthday of Charles Chiodi. Yes, the Charles Chiodi, pioneer and founder of this magazine, over 37 years ago. Simply being around him made me reminisce about the many years I had the privilege of working by his side, creating this magazine. 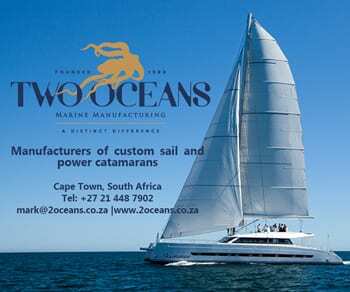 It also made me think of all the hard work and dedication he had put into the publication and, the promotion of the multihull boat and trying to get them accepted by the masses. In a way, it is similar to the way that people poo-pooed Steve Jobs with his funny looking Apple computers. Looking at their empire today, it is clear that with perseverance and determination a person can do whatever they want to. In the case of multihulls, the public frowned upon them and turned up their noses to these ‘boats with training wheels’. 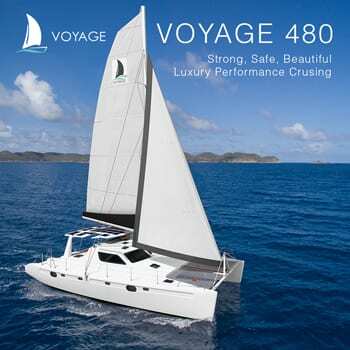 But now you find catamarans dominating the turquoise waters and vacation spots throughout the world. 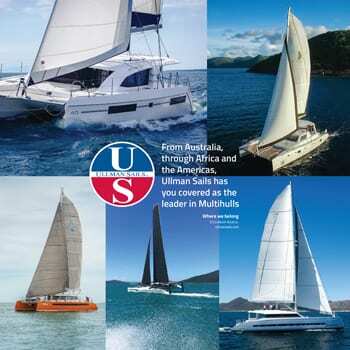 You can find multihulls at the top of the list of all the speed records and as we look at luxurious megayachts like new Sureef 82 and the giant AC72, it’s easy to forget the humble beginnings. The pioneers of ourindustry like Nathanael Herreshoff, Arthur Piver, Norman Cross, Jim Brown and Derek Kelsall often get overlooked and forgotten about. I have thought about all of this while putting together this issue and have included the changes in the industry, through the eyes . . .